Billy Graham once said, "No subject is closer to my heart than the family. ... The Moral foundation of our country is in danger of crumbling as families break up and parents neglect their responsibilities." Beside Ruth is the youngest, Ned. In the back, left to right, is Franklin, Anne Morrow, Virginia (Gigi), and Ruth Bell (nicknamed "Bunny"). This photo was taken in 1962. 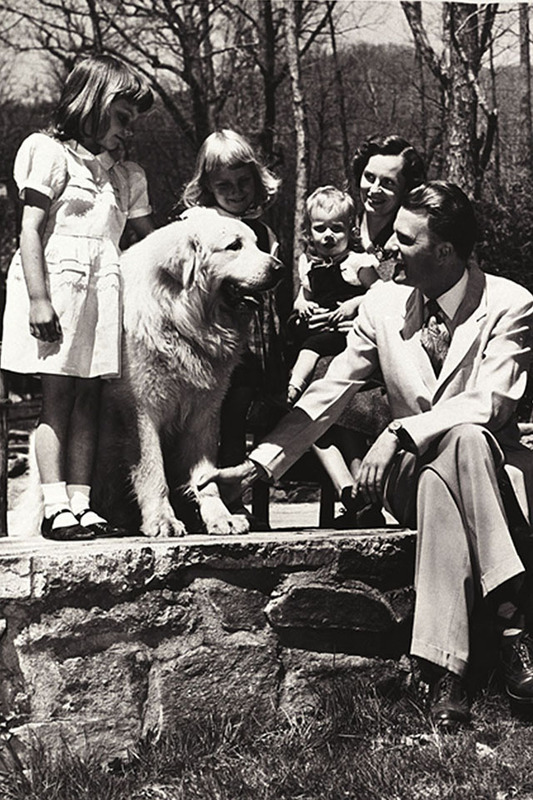 Billy Graham has always maintained a special bond with his daughters. Here, he is relaxing with Ruth, his girls and their family dog. 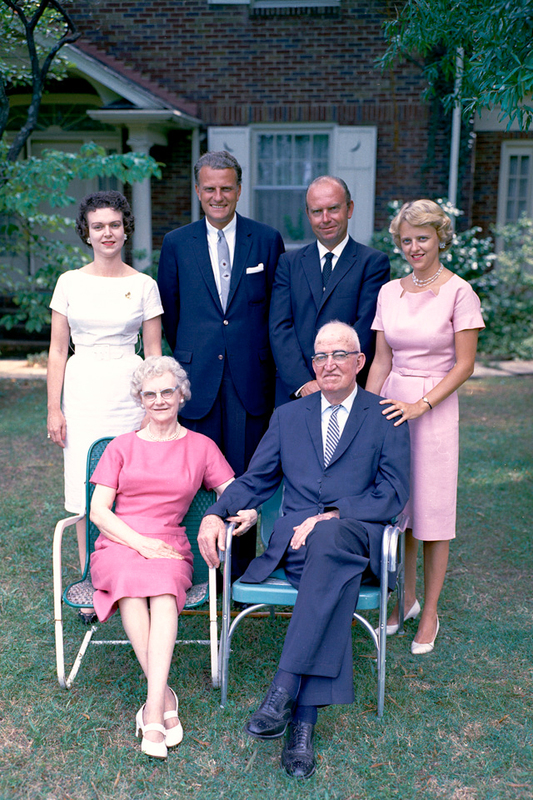 Billy Graham's father, the first William Franklin Graham, is seated in this 1962 photo. The elder Graham, a dairy farmer in Charlotte, North Carolina, passed away later that year. 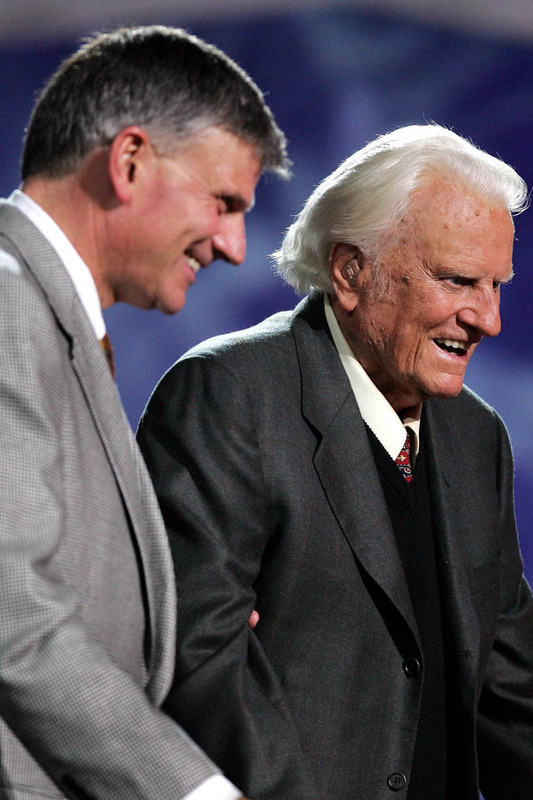 Billy Graham has often said, "I'd rather hear my father pray than anybody in the world." 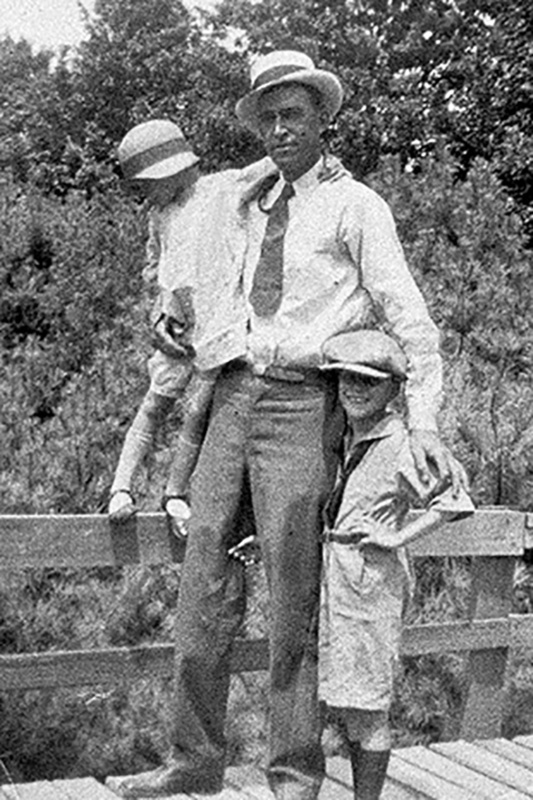 A young Billy Graham stands with his father, who holds his sister Catherine. Ruth's father, Dr. Nelson Bell, was a medical missionary to China from 1916 until the beginning of World War II. Although the hospital had a pastor on staff, Bell made the healing of souls a priority in his work, gently explaining the Gospel to his patients. This atmosphere of love for Jesus, for family and for the Chinese people, helped shape the woman that his daughter would become. "When I think about my dad, Franklin Graham, I don’t think about the ‘public’ Franklin Graham who stands in front of the world speaking on national television or preaching in large stadiums," said Will Graham. "I think about my dad who raised me to be the man I am today. I think about my dad who led me to Jesus Christ as a young boy. I think about my dad who fiercely protected his children from the prying eyes of others until we were old enough to handle it on our own. I think about my dad who offered strong discipline, accompanied by incredible love. I think about my dad who was the example of a godly husband." 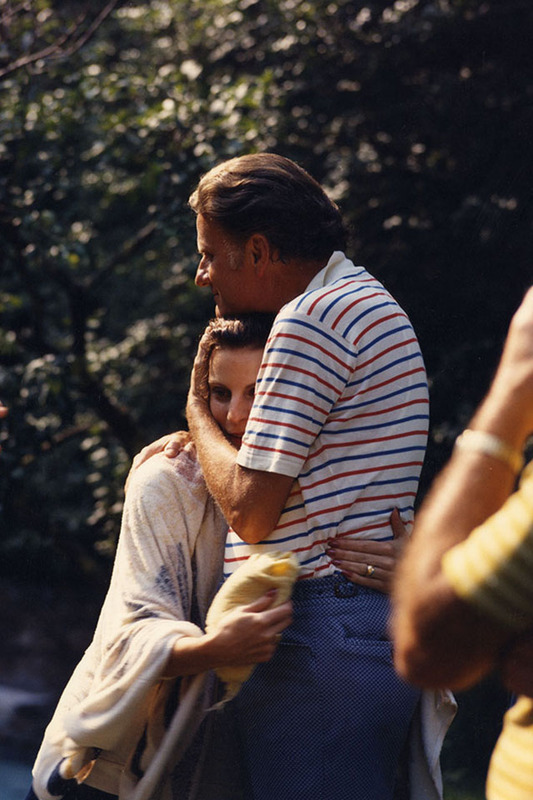 Billy Graham and his firstborn, Gigi, share a tender moment in 1971. 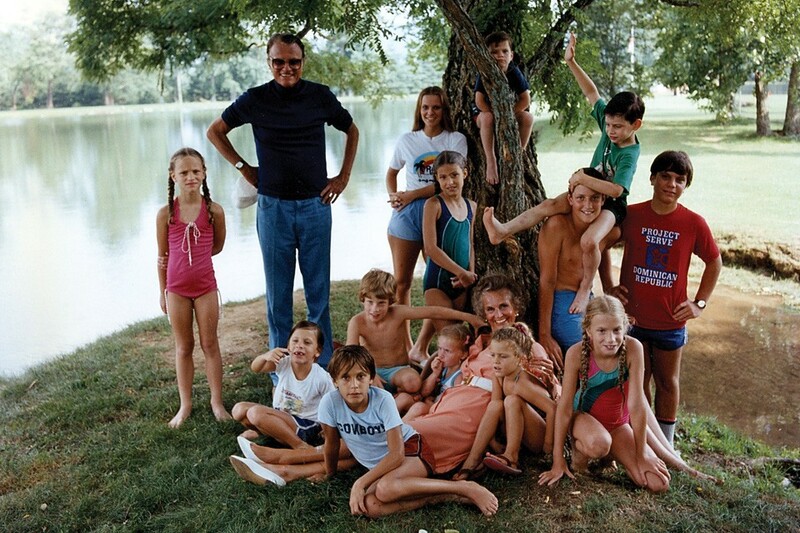 Here, Billy and Ruth Graham are pictured with 13 of their 19 grandchildren in 1982. 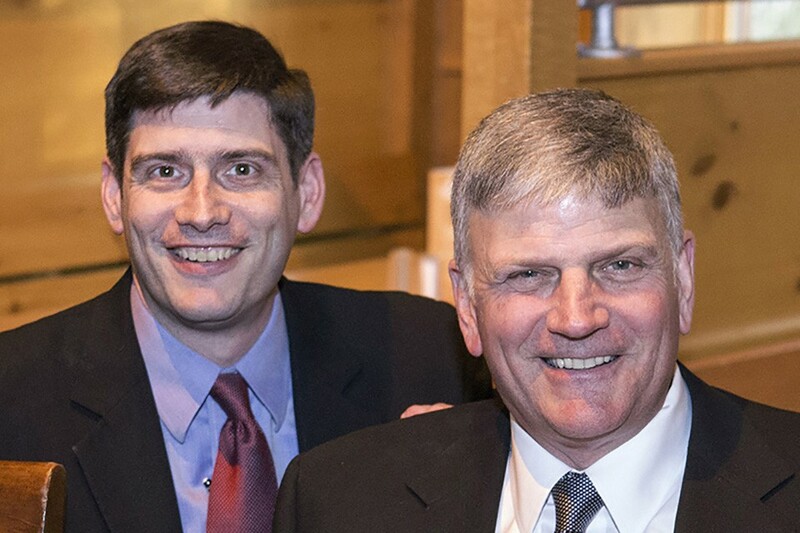 Like Franklin Graham, his son Will has followed in his father's ministry steps. 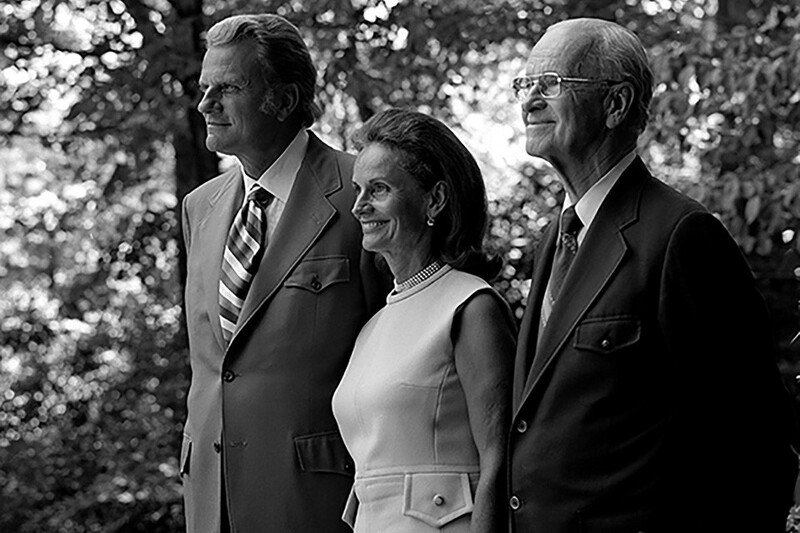 Three generations of Grahams have shared the Gospel all over the globe. This picture was taken at a 1994 Crusade. "I’m so incredibly thankful for the example that my grandfather is to me, and the way that he continues to teach me lessons," Will once said. "He does this not only through his words, but also through his actions—and the reasons behind those actions. Everything he does is for the glory of Christ and for the sake of righteousness." 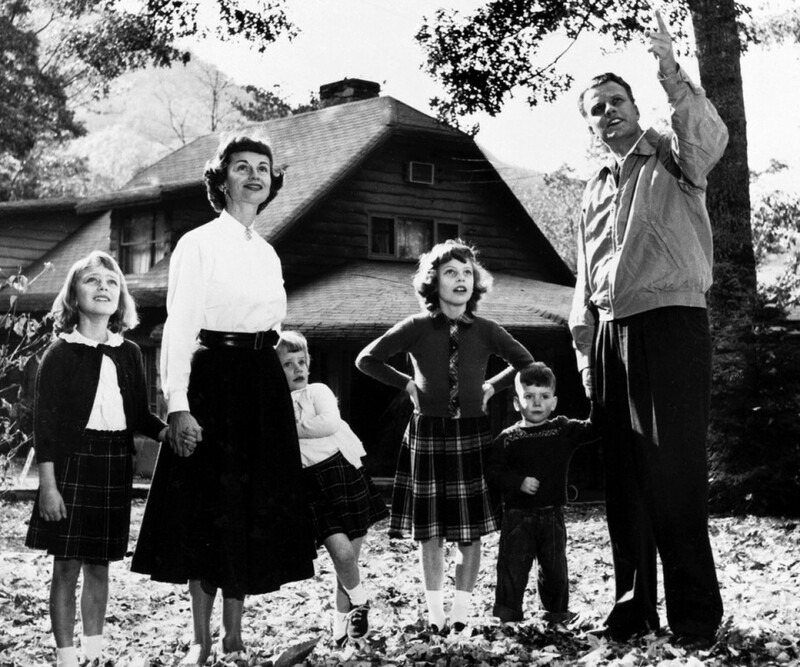 As a father who traveled frequently, Billy Graham relished being home with his children. "Many a time," he said, "I've driven down that driveway with tears coming down my cheeks, not wanting to leave." 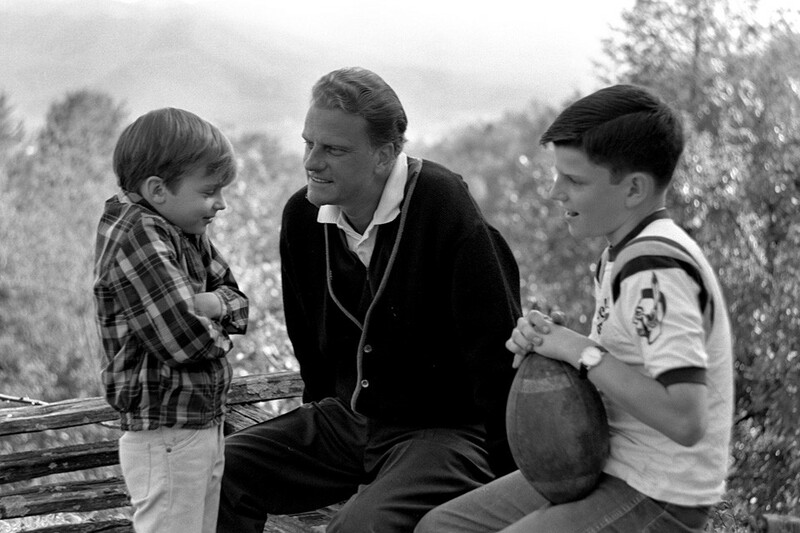 Billy Graham at his North Carolina mountain home with his two sons, Ned and Franklin, in 1965. 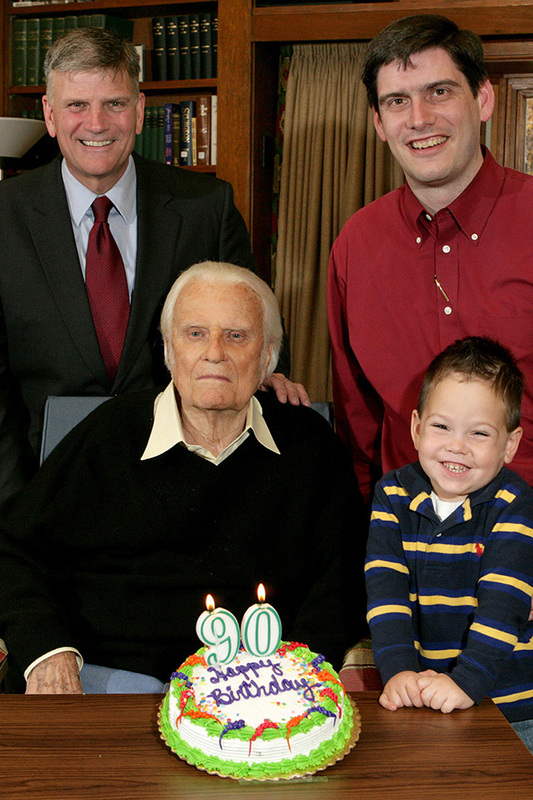 Four generations of Grahams, all named William Franklin Graham, gathered to celebrate Billy Graham's 90th birthday in 2009. 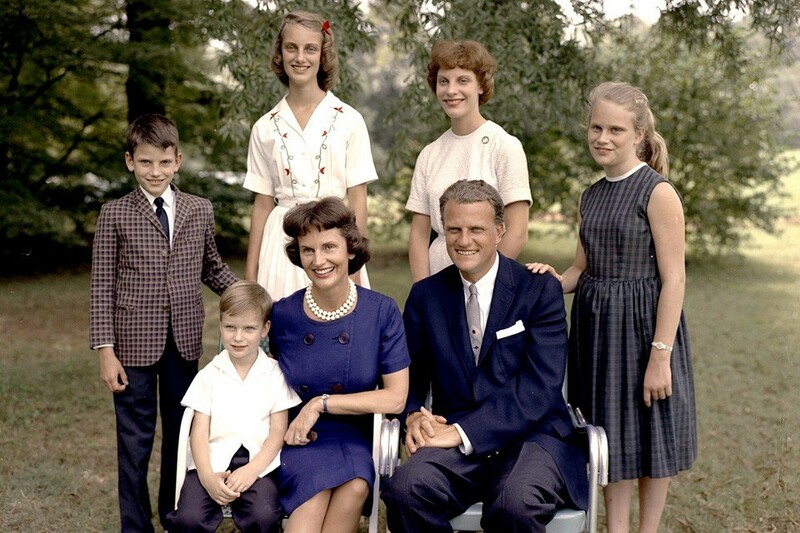 Franklin Graham is Billy Graham's oldest son, Will Graham is Franklin's oldest son, and Quinn (William Franklin Graham V) is Will's son. 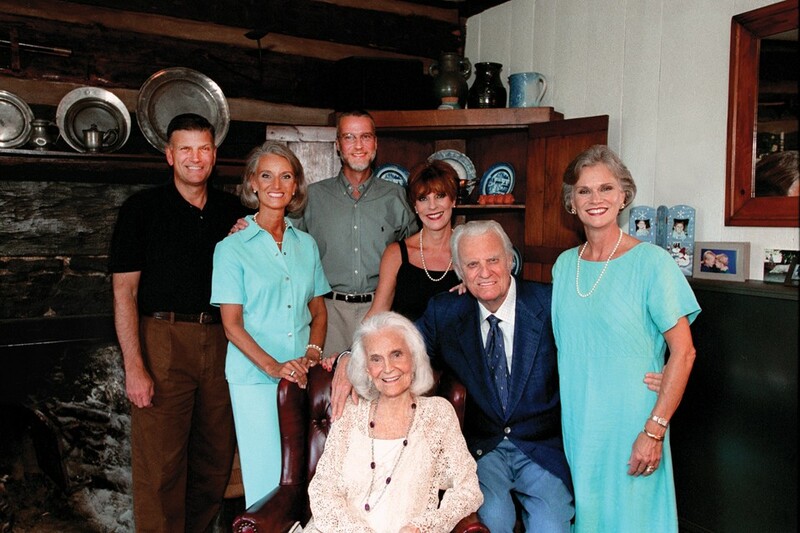 All five of Billy Graham's children gathered at his Montreat, North Carolina, home with him and their mother in 2003. 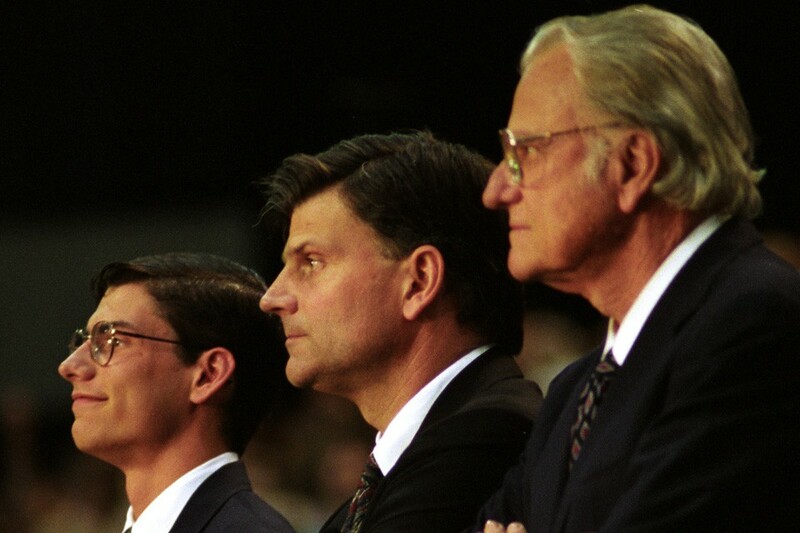 Franklin Graham and his father have been in ministry together for decades. This photo was taken in 2005. "My father can no longer take walks or kneel in the woods to pray. His eyesight has dimmed and his conversations are brief," said Franklin. "But I can tell you that he kneels in spirit to the Lord as he prays for lost souls and looks forward to eternal fellowship with his Savior in Heaven someday."